If you spend just 10 minutes per day, for 5 days per week looking through your van for tools or stock, over the course of a year you will have spent just over week searching. 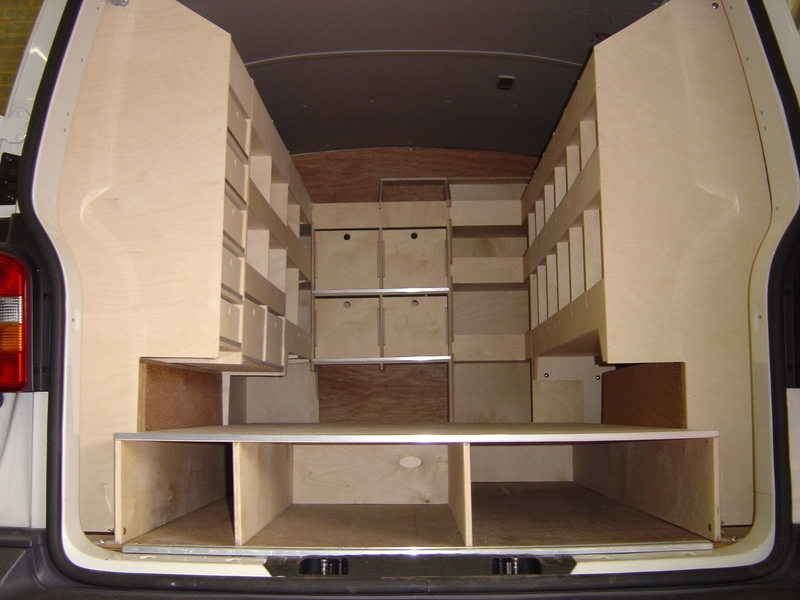 Many of our customers say that they spend much longer than 10 minutes, so by organising your van with internal van racking, you can save valuable time and money! 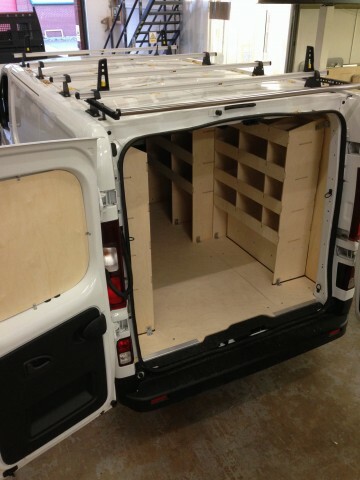 Our range of wooden van racking units, are manufactured from high-quality Birch plywood and have been designed to accommodate the tough working environment of everyday trade use. Designed for a multitude of users, Plumbers, Electricians, Maintenance Engineers, Builders, Etc., in fact, people from all types of industry on the move. 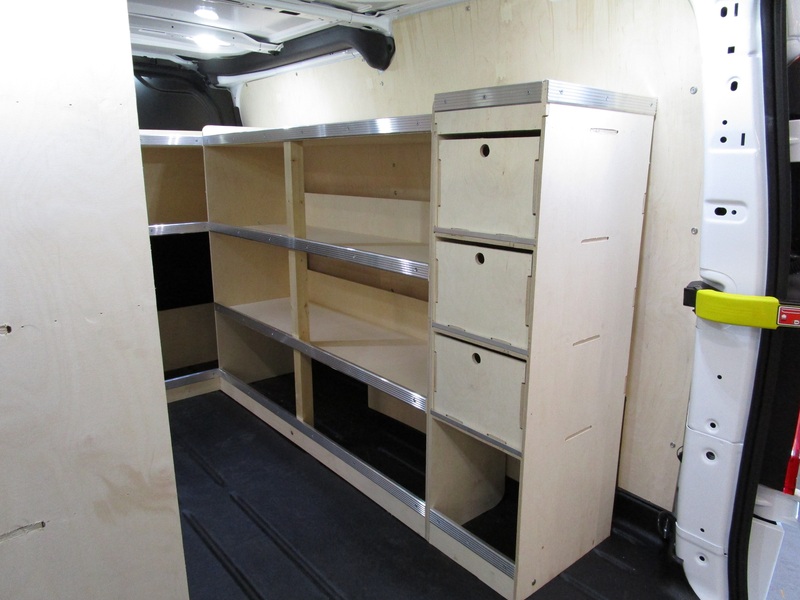 Simple yet effective, robust and versatile, our internal van racking systems combine secure storage and easy access for almost all types of small components, tools and accessories. 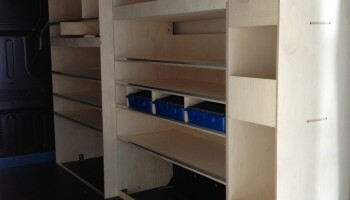 These units offer an affordable way to organise your tools and stock, without compromising on quality. Choose from our ‘standard’ range of racking and floor drawer units, or utilise our bespoke service to create a solution that works for you. 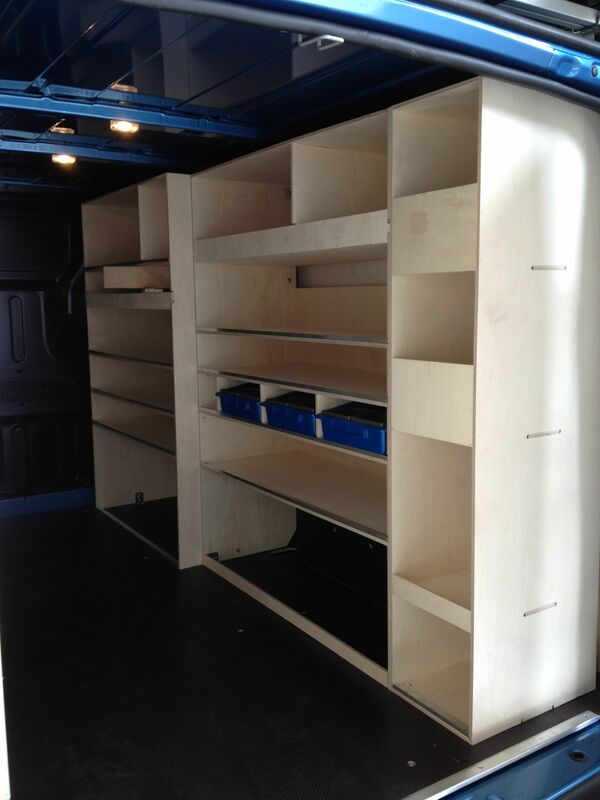 If you require something more specifically designed to carry your particular products or tools, our ‘Bespoke Design Service’ can help create storage units, false floors and racking units, to match your requirements exactly. 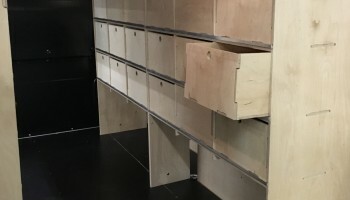 Over the years, we have been asked to create bespoke storage for customers from all walks of life, from mountain bike racing teams to surfers, children’s entertainers to international music artists. 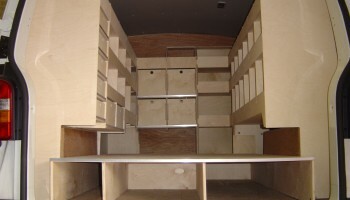 After a brief consultation, we can quickly provide ideas, solutions, designs and quotations, and can usually have these ready for installation within a few days. View more successful van racking projects in our gallery. 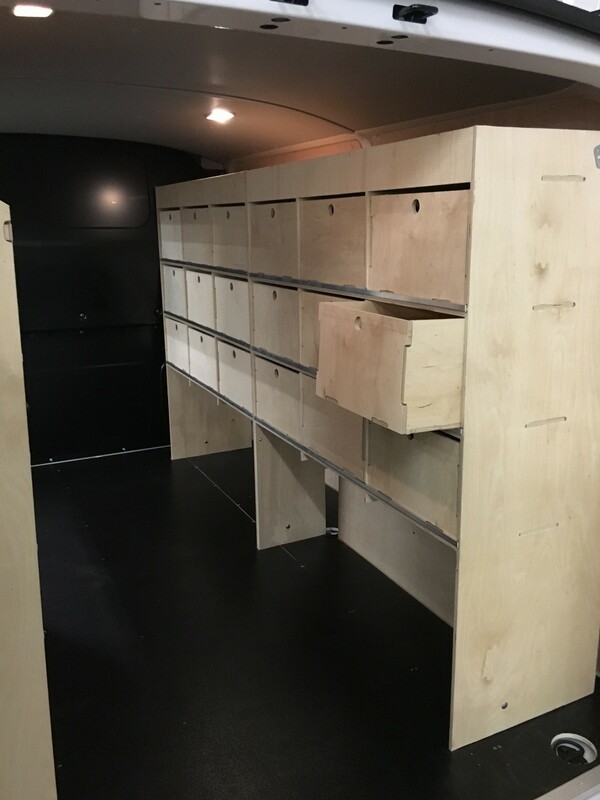 If you want to find out more about our internal van racking services, you can contact us for an enquiry by clicking here or alternatively you can fill out an enquiry form below.